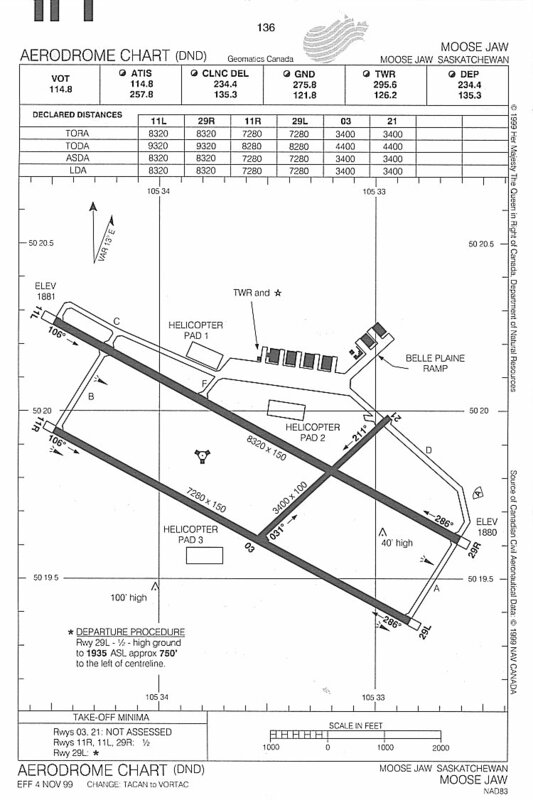 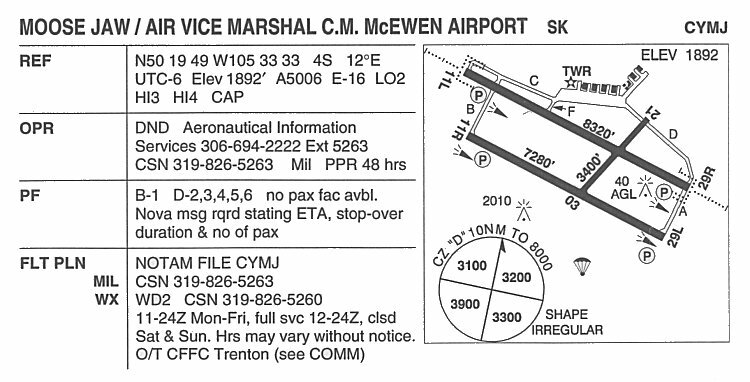 Aerodrome chart for Moose Jaw - 2004. 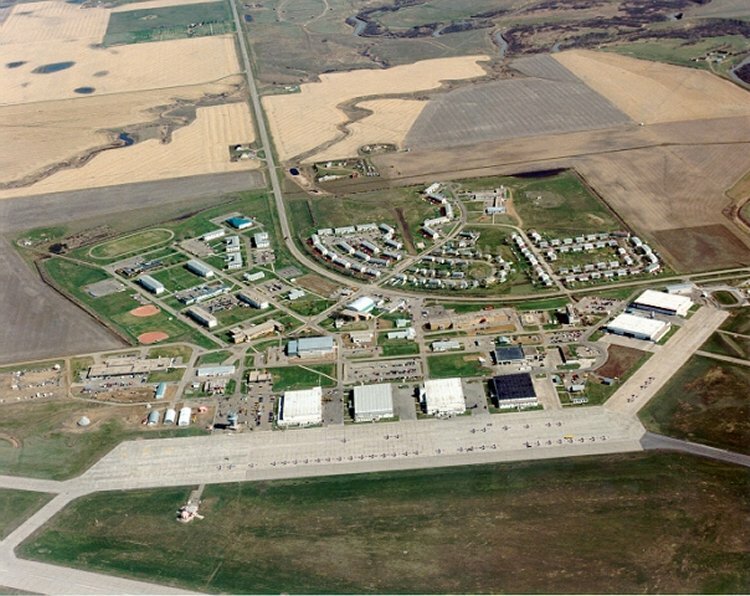 Aerial photo of CFB Moose Jaw - 1998. 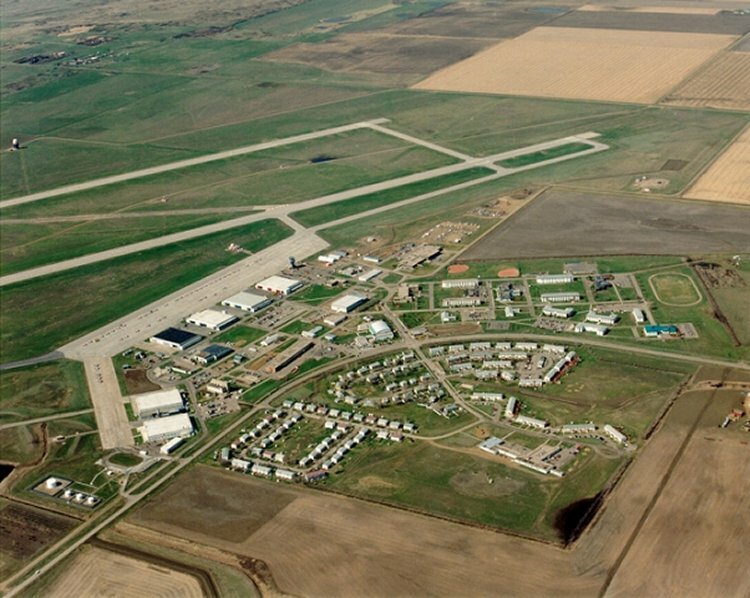 Courtesy 15 Wing Photo Section. 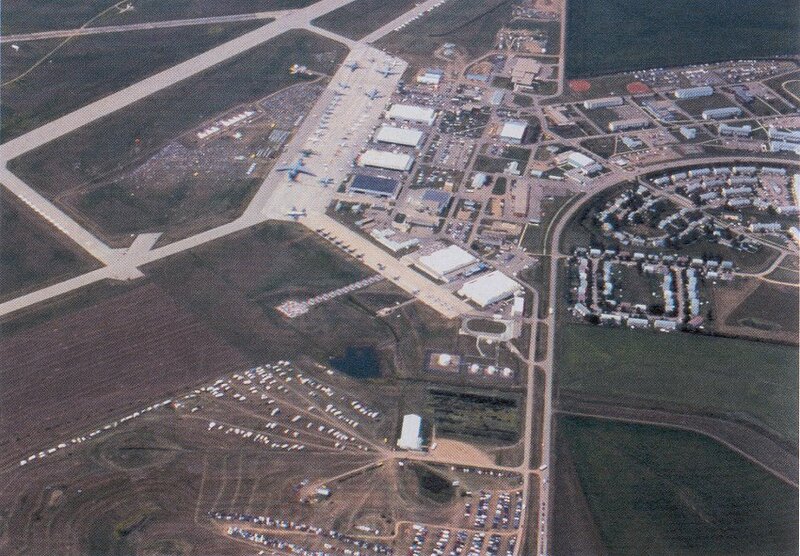 Aerial photo of CFB Moose Jaw during an airshow - 1976. 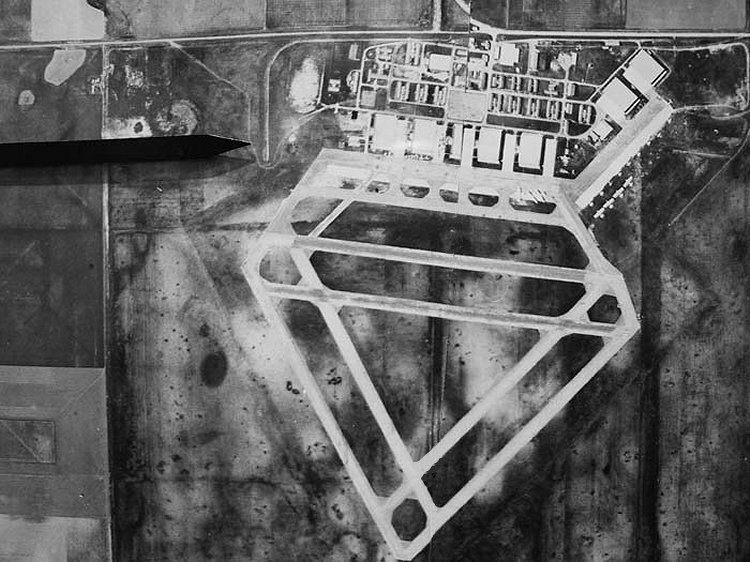 Aerial photo of RCAF Station Moose Jaw - 1954.